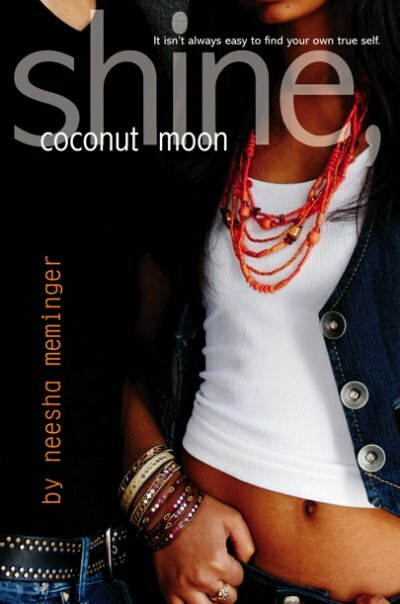 Author Neesha Meminger's debut work is Shine, Coconut Moon, an important and interesting young adult novel about the many complexities of family, identity, and living between two cultures. I've asked Neesha some questions to get to know more about her and her work. Thank you, Neesha, for answering my questions. And thank you very much for Shine, Coconut Moon - my wonderful gateway to learning about Indians, Indian Americans, and Sikhism! 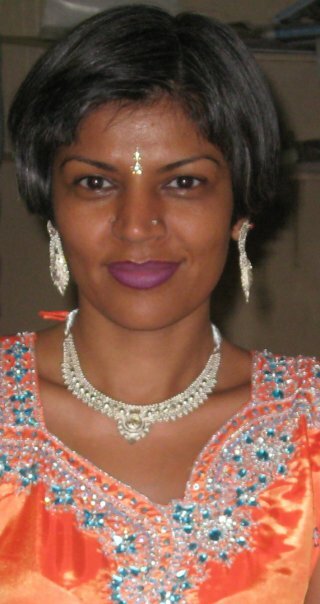 Can you please tell us a bit about your South Asian heritage? I was born in Punjab, India and we moved to Canada when I was five. I have been in the west since. My parents didn't speak a word of English, so we spoke only Punjabi at home, and only English at school. I think it took me a while to figure out both, but it's where my fascination with the rhythms of language, the importance of word choice, and the power of the word took root. 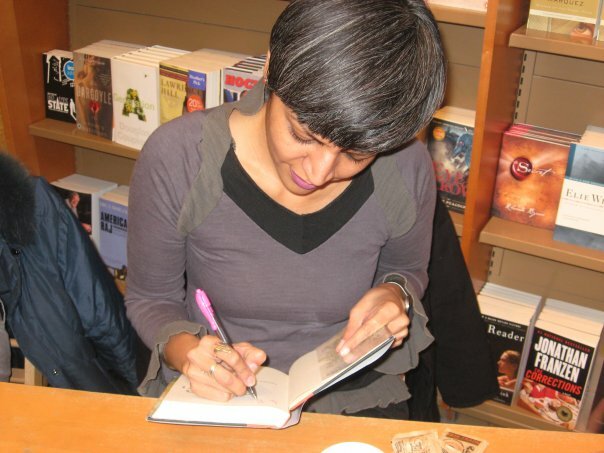 Growing up, were you more like your Shine, Coconut Moon character Sharan (rebelling against South Asian traditions) or more like her teen daughter Samar (seeking to learn more about South Asian traditions)? I was both. I absolutely rebelled, viciously, against traditions and what I then considered restrictive customs and cultural norms, but I was also a lot like Sam - desperate to know more about myself and where I came from. My parents grew up immersed in where they came from. They took it for granted that they were thriving on the land of their ancestors - that they were steeped in the language, food, clothing, traditions, beliefs, and culture of generation after generation before them. I didn't have that. I was a transplant - uprooted and replanted in a very foreign place with no connection to the past beyond my parents. I had to do a lot of digging and recreating to discover who I was. And that was not my parents, nor the world I'd been unceremoniously dropped in. It was something new that I was creating as I went along. What were you like as a teen reader and writer? But as a reader, I loved fantasy like Babbitt's Tuck Everlasting, and realistic teen fiction a la Judy Blume, Paula Danziger, S.E. Hinton, and Lois Lowry. I also inhaled romance novels of ALL kinds. Can you please guide us through your writing process? It goes something like this: An idea hits me and sort of forms into a rough plot structure. I start writing the first chapter and things change in the initial structure. I follow those changes and the story emerges through the characters' wants, needs, and voices. Then I do as Stephen King says - I follow the headlights in the dark as far as they allow me to see until I get to the end. Why did you write Shine, Coconut Moon? I wanted to tell the story of three generations of Punjabi, Sikh women and the bonds and fissures created through the generational divide, as well as migration. I wanted to tell the story from the perspective not of the recently arrived, or even the first generation - but of the generation that is deeply rooted in western soil. And I couldn't do that without also looking at the world as it is now...post 9/11. Who are your favorite authors? How have they influenced your writing? You have a BA in Film and Media Arts and your independent films have been screened at international film festivals. How does your background in film influence your writing? It might make me a more visual writer. Because I've done overnights in the editing studio, trying to tell a story with images, figuring out which one to put next and how long it should be and whether it should dissolve into the one before it or be a straight cut...perhaps that makes me more prone to think the same way when working with text. I still love the combination of text and images. I find the combination to be incredibly powerful. What books would you like to match or surpass with your own work in terms of writing, awards, popularity, sales, or influence? Why? My only hope is to contribute to the awe-inspiring work of some of the women I've mentioned above. If my work can have even some of the effect those works have had on me, it will be a success. I'm not as concerned with awards and popularity and all that stuff, honestly. As long as my books find the readers who will cherish them, and in whose lives those books will have a profound impact - that's what will keep me going. What are your favorite Asian children's and young adult books? I love Bindi Babes by Narinder Dhami, Born Confused by Tanuja Desai Hidier and I love the works of my fellow authors in the US - Marina Budhos (who has a new title coming out this year), Mitali Perkins, and Uma Krishnaswami, just to name a few. I'm also very much looking forward to reading my copy of Ash by Malinda Lo and Silver Phoenix by Cindy Pon. I do wish there had been more books by Asian authors when I was growing up, but I'm certainly thrilled that there are some out there now! I didn't know Neesha was a film-maker too, but one of my first reactions after reading Shine was that it would make a great TV series. Now I'm really hoping! I enjoyed this interview very much, thanks! I agree, it would make a great TV series! This was a wonderful interview. Shine, Coconut Moon is on my wish list, and I really like knowing more about the author before I read the book rather than after. It enhances the reading experience for me. LOVE Shine, Coconut Moon (I got it from the library, but I need to buy it because I despertely want to re-read it). Thank you for the interview Tarie and Neesha. 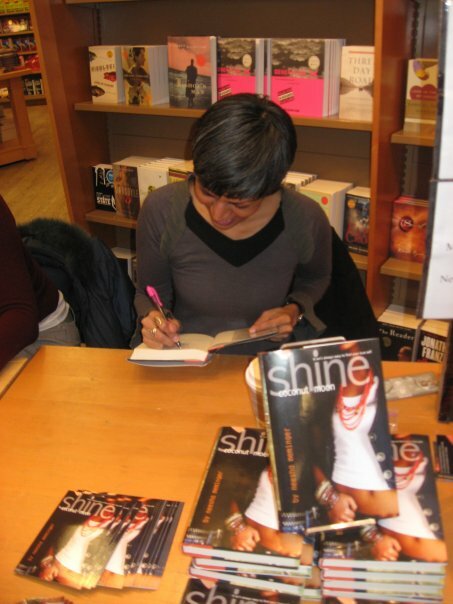 I enjoy learning more about authors :) A Shine, Coconut moon series would be beyond amazing! So interesting to read about how Neesha has a background in film and how that influences her writing. I really understood and liekd reading about the generational divide between Sam, Sharan and Sharan's mom (her name escapes me at the moment). It's something that I think lots of us teens can relate to, especially those whose families are not from the U.S.
Medeia, I too find that learning more about authors enhances my experience of reading their books! Oh, thanks so much for this interview! I *loved* the mother-daughter thread in SHINE too. It's such a beautiful, nuanced *and* passionate story, and Neesha's characterizations are so well-drawn. Okay, first: GORGEOUS AUTHOR, hello! Second -- I think a tv adaptation of SHINE would be SO, so cool. I really look forward to what more Ms. Neesha has to bring us. Thanks for a great interview. Hi, Olugbemisola. :o) You're right - Shine, Coconut Moon is such a passionate story! Tanita! :o) I know, right? 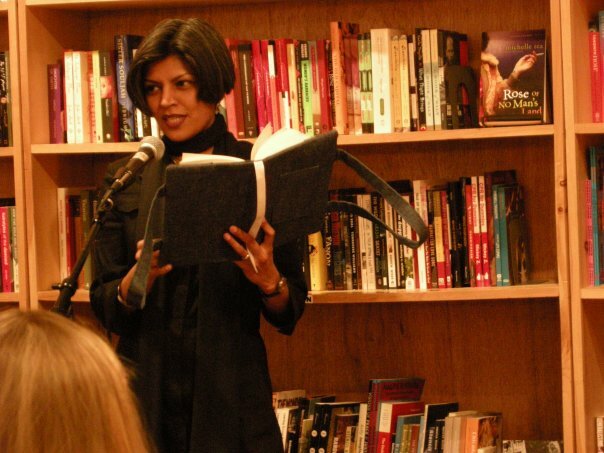 And the Hottest YA Author Award goes to... Neesha Meminger! Thanks for so much more of Neesha! Shine Coconut is such a well written, well told story! I don't think I've ever seen the trailer before!! Hi, Edi! =D I actually wish SHINE had been at least two times longer. It was about so many themes that I really wanted to read more about. This one is a real crowd pleaser: Ako'y Isang Mabuting Pilipino, Lampara Books' 2012 picture book adaptation of Noel Cabangon's song, with Cabangon's original Filipino lyrics, functional English translations by Becky Bravo, and illustrations by Jomike Tejido! Cabangon's inspiring lyrics remind children of the ways they can be good Filipinos, such as doing their best in school and obeying their parents. There are plenty of reminders for adults too, such as following traffic rules and not selling their votes during elections. Tejido's illustrations are warm and wholesome, acrylic paintings on hand-woven mats that depict different ways to be good citizens. This was originally posted at Into the Wardrobe on May 3, 2008. May is Asian Pacific American Heritage Month. I want to honor it by celebrating all things Asian American and by reading Asian American children's and young adult literature - particularly Fusion Stories. I still haven't gotten over See You in the Cosmos by Jack Cheng(Dial Books for Young Readers, 2017). So after I reviewed the book here and cooked up some classroom and book club activities for it, I just had to grill Jack about his influences and creative process. Read our interview below! Hi, Jack! What motivates and inspires you to write for young readers? Getting to meet kids (both in school and through my books) who are at a time in their life when they're really starting to form their values. It's a time when they're really starting to ask the big questions about life and the people around them—the same big questions that we keep asking, I think, even when we grow into adults. I was excited when I saw that the main character of See You in the Cosmos, Alex Petroski, was Filipino American. Is there a particular reason you made Alex Filipino American?